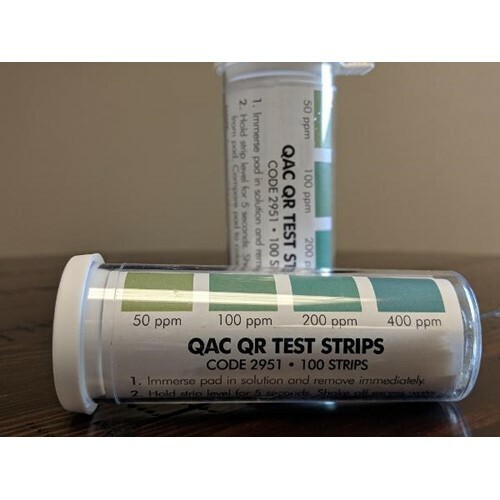 Anderson, Test Strips, QAC or Quat, 0-400PPM, 100 count, sold as 1 container of 100 strips. QAC Test Papers. Applications: Drinking Water, Industrial Water Boiling and Cooling, Laundry and Sanitation, Water and Wastewater. Chemically treated paper strips change to indicate sanitizer level. Strips and color chart are packaged in a waterproof plastic vial. 2951 is specifically formulated to read all types of QAC.